Corten steel (often referred to as Cor–Ten) is a weather resistant steel grade which could more accurately be termed as an “Atmospheric Corrosion Resistant Steel”. Weathering means that due to their chemical compositions COR-TEN A and COR-TEN B steels, when utilised unprotected, exhibits increased resistance to atmospheric corrosion compared to unalloyed steels. This is because it forms a protective layer on its surface under the influence of the weather. Corten steel is a copper chromium alloy steel – this alloy displays a greater level of resistance to atmospheric weathering when compared to other unalloyed steels. It’s chemical composition promotes the early formation of an adhering protective layer of rust when exposed to the elements. COR-TEN B: thickness up to 50mm . 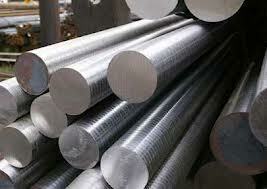 Basic guidles for the use of this steel in the unprotected condition are described in EN 10025-5 and DASt rule 007. In case of cold rolled material the yield point is min. 310 Mpa and the tensile strength min. 445 MPa. Furthermore cold rolled sheets ≤3mm in thickness made of steel grade COR-TEN A-F for increased demand to the cold formability is available. Mechanical properties: Yield point min. 275 Mpa; Tensile strength min. 410 Mpa; elongation min. 25%. Tolerances on dimensions and shape according to EN 10131. The notched-bar impact energy is determined on ISO-V longitudinal test specimans at a temperature of – 20°C as an average of three tests. For product thicknesses ≥10mm the average value is at least 27 J. For thicknesses between 10mm and 6mm, the minimum impact value is reduced proportionally to the speciman width (product thickness). The conditions for hot forming are in accordance with those stated in EN 10025-5. For cold forming the statements according to table 6 of EN 10025-5 are valid. If the mechanical properties have undergone changes due to cold forming, the properties indicated in the table can be substantially restores by stress relieving – at least 30 minutes at 530°C – 580°C. For higher degrees of cold forming subsequent normalising is recommended. COR-TEN is suitable for flame cutting provided proper operating methods are used. At temperatures below 5°C a sufficiently wide zone on either side of the intended cut should be preheated. If flame cut edges are to undergo cold forming, the hardening effect should be prevented by preheating – as in the case of S355J2 or the hardened zones must be worked off e.g. by appropriate grinding. for welding are also given in EN 1011 part 1 and part 2 – Welding, Recommendations for welding of metallic materials-. For unprotected use care must be taken that the welded joint is also weather resistant. This is possible by using welding consumables matching the base material. If due to design or building specification stress relieving is required, it should be performed in the range temperature from about 530°C to 580°C. Joining elements such as bolts, rivets and their accessories (nuts and washers) must be so selected that the formation of local electro-chemical cells are avoided. The joining elements should preferably consist of weathering steel. At these joints capillary action can lead to permanent moisture resulting in increased corrosion. Critical zones should therefore be protected by painting, sealing or other protective measures. 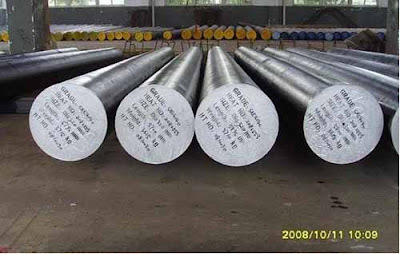 In the case of high-strength connections (HV) the conditions for non-weathering structural steels as given in DIN 18800 part 1 apply.